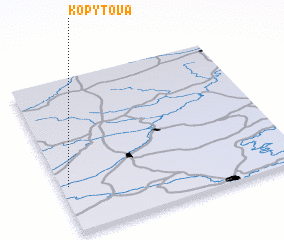 Kopytova is a town in the Komi-Permyatskiy Avtonomnyy Okrug region of Russia. 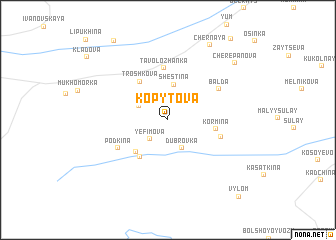 An overview map of the region around Kopytova is displayed below. The nearest airport is PEE - Perm Bolshoye Savino, located 193.0 km south east of Kopytova.